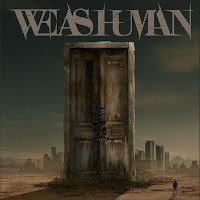 Out of seemingly nowhere comes a hard-hitting, Christian modern rock band, We As Human, with their major label full-length self-titled album. Despite the difficulty in finding bio information on them, it appears that they've been around a little while - jesusfreakhideout.com indicates that the band was founded in 2005 and issued an independent release the next year. But, to many, We As Human is a new band. And, judging by the quality of material on their latest album, will be a band loved by many very, very soon. The self-titled effort gets aggressive right from the get-go with opening tune, "Strike Back." If this was the only song you heard from We As Human, you'd be hard-pressed to guess that they are a Christian band. The music is heavy and unapologetic and lyrics like "The bigger they are, the harder they fall/You're going to suffer, hit me I'll hit back harder" put them directly in the realm of today's more angst-fueled bands that provide veritable soundtracks to street fights. However, deeper cuts on the album begin to reveal spiritual themes, positive messages, and the occasional reference to God. While the lyrics occasionally drift into the overly general and sometimes get a little boring, the album is carried by its powerful riff-driven music and strong vocals. "Dead Man" features a slower, chunky, modern rhythm that segues into a big, soaring chorus. "Bring To Life" builds from atmospheric, low-key rock to a slamming tune that reveals a shade of Sevendust influence. And it's easy to visualize "Sever" being played in front of a circle-pit-gone-wild with its fast tempo and head-banging, half-time chorus. The album also has its quirks, some well-executed, others not. For example, "Let Me Down" almost seems like a B-side from an early-2000's pop-punk band like SR-71 or Bowling For Soup if they tried to write a serious song. And "Take The Bullets Away," which features guest vocals from Lacey Sturm of Flyleaf, is a bit hard to get into with its dragging pace...at least until some cool screaming brings the tune to a proper conclusion. But "We Fall Apart" ends up being a phenomenal song, despite being synth-laden and opting against the inclusion of drums. Other highlights of the album include "Zombie" - a well-lyricized anti-drug song in which John Cooper of Skillet sings the second verse and lends a Papa Roach feel - and "Taking Life," which showcases a funky vocal line that helps to set the band apart from typical modern rock. The album ends explosively with the most overtly Christian song, "I Stand," which is reminiscent of Korn. 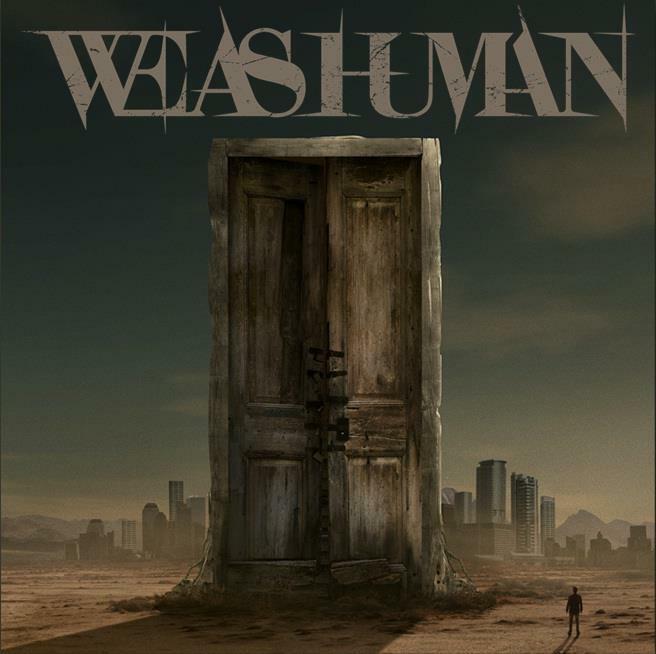 Overall, We As Human is a very strong radio-friendly modern rock band whose sound would not be out of place with contemporaries such as Adelita's Way. With an extremely solid album and an opening slot on the 2013 edition of the Carnival of Madness tour, there is no doubt that the music world should see We As Human rise through the ranks quite quickly in the second half of 2013.